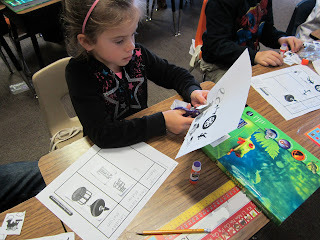 Yesterday we started a new science unit that I am REALLY pumped about - Forces and Motion! Today we learned about motion. We made our books and desk contents move all over the place in all different types of ways. The engagement was through the roof! 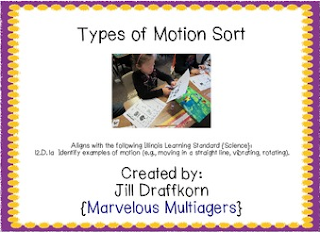 If you're teaching about Forces and Motion and would like to use this sort, feel free to download it (for free) from my Teachers Pay Teachers store! BOO! Did I scare you? You've been BOO-ed! Come on over and join in the fun!